Another piece of good news came today in my inbox. I have been accepted as an Associate Member of the OPA (Oil Painters of America). There are so many talented and admirable artists in this organization, I am completely excited to join them and hopefully display work in their gorgeous shows! I am participating in two shows for October/November. 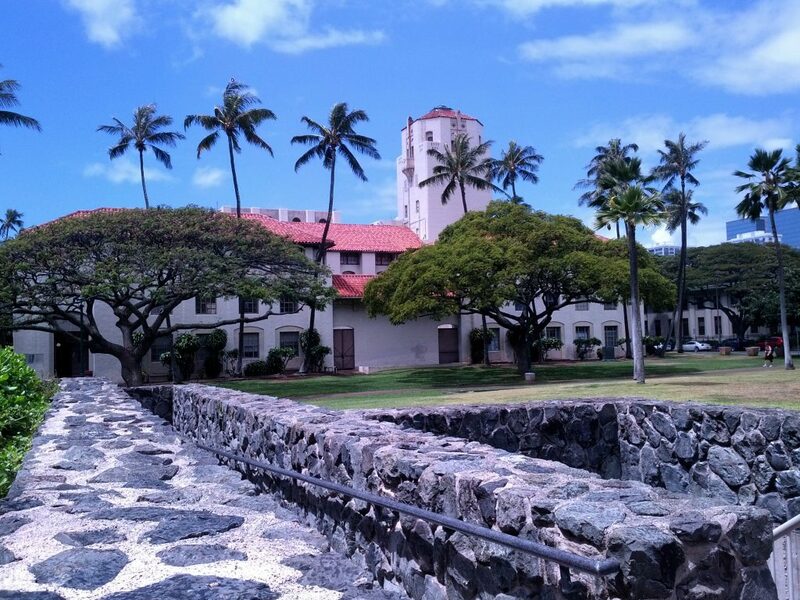 Asia-Pacific Arts Consortium’s Pamana Show will take place at Honolulu Hale from September 27 – October 13, 2016. The reception is on October 6, 2016 from 4 – 6 pm. I will be there , but I will by necessity arrive late by at least a half hour. Three of my works have been juried in for display, “Fiery Sunset”, “Honu Laule’a” and “Sea Lions”. 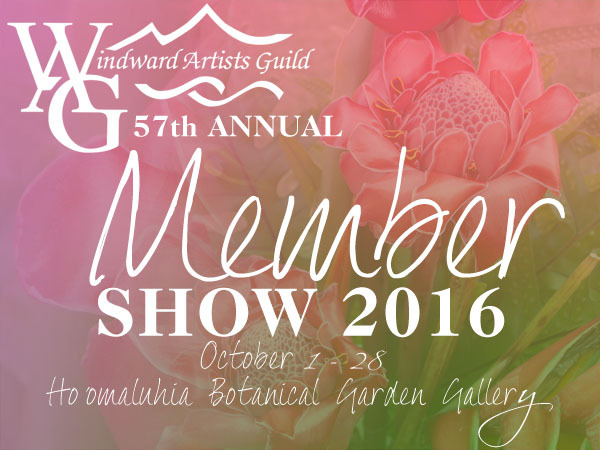 Windward Artists Guild is holding its 57th annual Member’s show at the Hoomaluhia Botanical Garden Gallery October 2 – 28, 2016. Please join us at our reception Saturday, October 8 from 5:00 – 7pm. I plan to attend the entire reception. Two of my works will be on display, “Understory”, and “Waterlilies”. Today I delivered several of my art pieces to Brilhante Custom Picture Framing and Fine Art in Kailua. 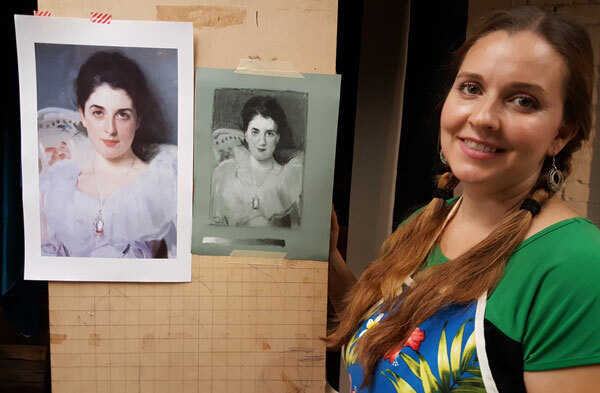 It is wonderful to be among a talented group of artists, and to sell work in a framing store where it’s easy and convenient to buy a frame for the painting. It’s also pleasure to be in a gallery that is at the epicenter of my personal inspiration right here in Kailua. 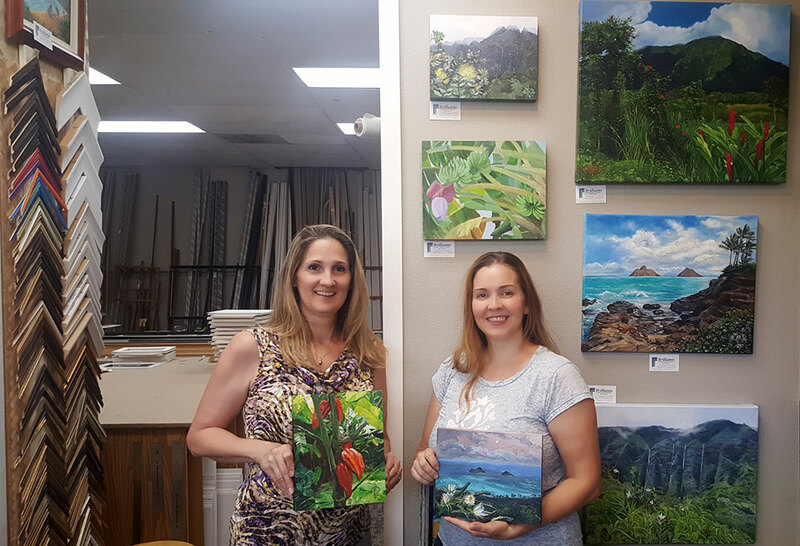 Tracy Brilhante, owner of Brilhante Framing and Fine Art in Kailua with Wendy in front of a few of Wendy’s paintings. To the left you can see just a few of the many framing options. There are several other surfaces with additional frame options as well. Tracy, the owner of the gallery, and her staff have years of experience and a wonderful eye for which frame best compliments each piece. I have been very pleased with all the framing they have done for me over the years. A good frame unifies the painting with the rest of the room, creating unity in the interior, but also creating a border that allows the painting to stand out from the wall. 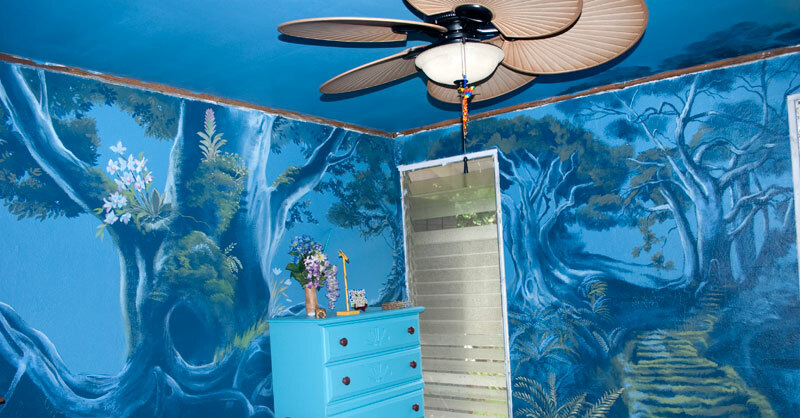 There is harmony between the art and the surrounding furniture if they are similar in style or materials. I have always found great options for each of my pieces at Brilhante (with plenty of help from Tracy and Nicole!) It’s nice to know that anyone who buys my paintings there can easily have them framed, and the quality will be top notch! Greetings from my studio. I have just finished my latest show (“Paradise Painters” at Hoomaluhia). It went very well, and now that my show is done, it is time for me to enter a new chapter of my creative state. Before the show, I worked actively for the majority of the days producing new work on canvas or panels. I postponed work on my mural project for a few weeks to make sure I would have enough new pieces for my show. Once the show was up, I worked more on the mural again and dreamed up the next few pieces I want to pursue. Now I must balance my massive mural project with paintings once again as I get ready for the upcomiong Windward Artists Guild show in October. This flurry of productivity has meant that I have not been communicating as much on my site lately, but I took a moment today to add a few of the pieces I created for the Paradise Painter’s show. I am looking forward to sharing the mural, but it isn’t really ready to be seen just yet. I showed a couple of previews of the secondary walls on Facebook (Wendy Roberts Fine Art) and Instagram (@wendysroberts), which I will share again here, but the main wall is a huge (10′ X 15′) scene with water lilies, foliage, a waterfall, and a weeping willow that I will be excited to debut when it is done. I better get back to work at the easel in order to assure the quality of the pieces I have planned for the October WAG show will be up to my standards. Two of my next pieces are going to be larger works in the 3 and 4 foot range. I feel they deserve more space and more creation time to achieve the correct impact and scale. I will check in a little later, but in the meantime, if you don’t see me much out on the town during September, you know where I am! I have uploaded a few images to Fine Arts America so that they can be reproduced in prints and on a few fun types of gift items. I would like my art to be accessible to everyone who wants to enjoy it, and this is a nice, affordable way to share it with you. This is the link to my profile. I am also on Redbubble. I realized I never officially closed out the Favorite Place Contest results with a follow-up post of the results. In March I held a friendly collaborative contest on my Facebook page offering a free giclee to the person who submitted the photo that most caught my eye and made me want to paint it. 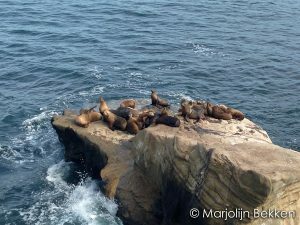 I selected a photo of sea lions off the coast of La Jolla, California by Marjolijn Bekken. 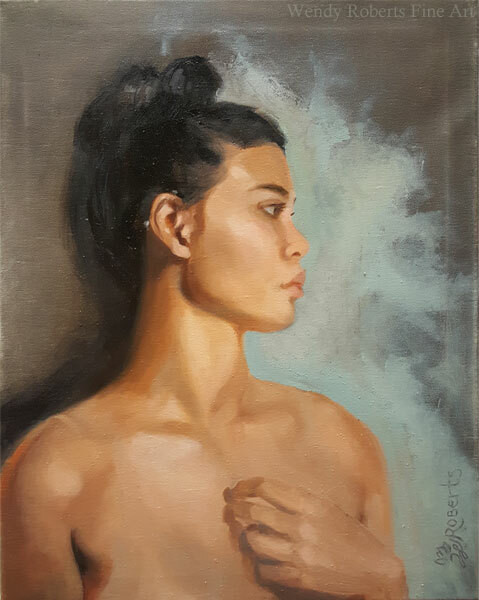 The painting was completed in late May, scanned in June, and displayed in the August Hoomaluhia Gallery show and December Oahu Open Studios event. Meanwhile the promised giclee was given to Marjolijn for her outstanding photo. She has my sincere gratitude. It was a pleasure to paint the sea lions. 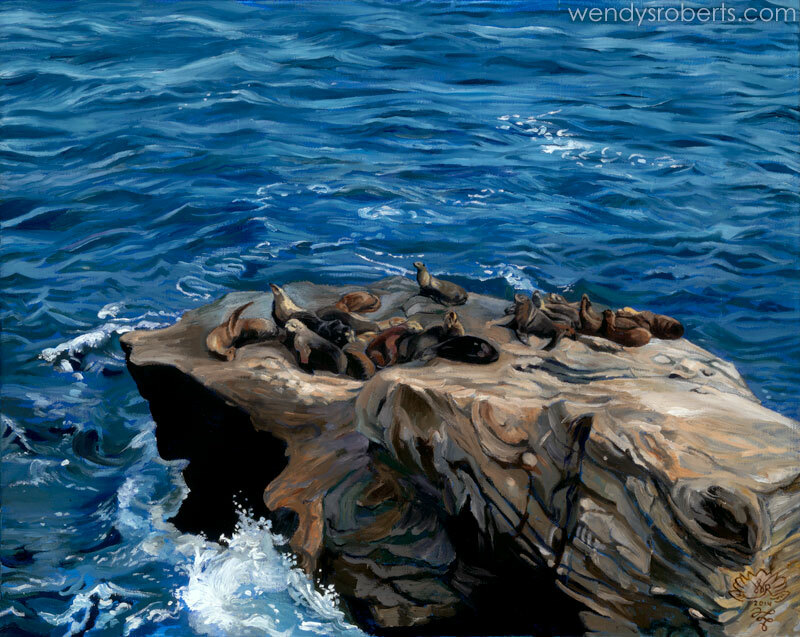 “Sea Lions” is a good example of the adjustments I make to an image when I paint from a photograph. 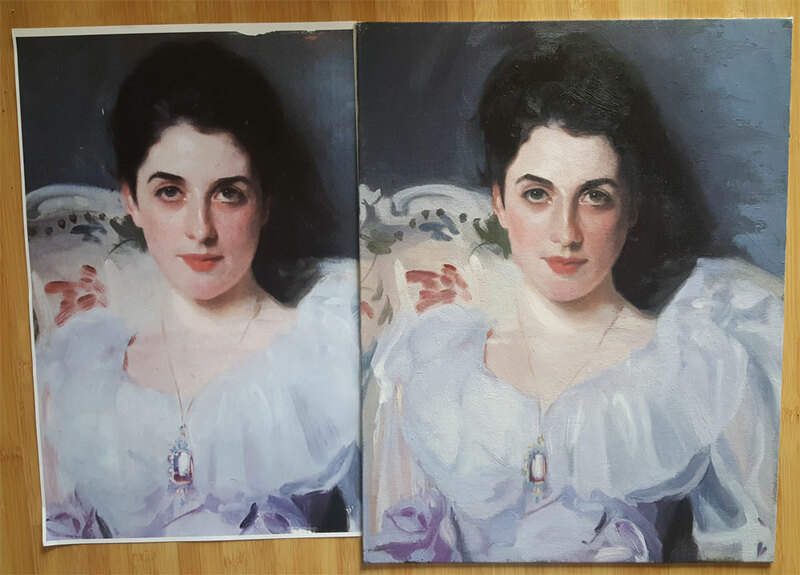 I like to take advantage of the strengths of painting, and veer off a bit from the initial photo. In this painting, I used a blue underpainting throughout the image which peeked through in the thinner areas of the painting throughout, giving it a sense of cohesiveness. I made the colors slightly more vibrant, especially in the sea, and I brought the elements into sharper focus. There are a few less sea lions in the final painting to help simplify the composition, and I chose to make the colors of each sea lion a bit more differentiated so they would stand out from each other and from the rocks. I enjoyed the directionality of the strokes of paint, curving over sea lion shoulders and undulating with the waves. The whole painting had a very sinuous rhythm to it. Lastly, I learned a lovely piece of trivia that appealed to my geeky nature side. Sea lions are easy to tell apart from seals because they have stronger flippers that allow them to sit upright, rather than lounging on their sides like seals. Now that I have told you, if either of us see a seal or a sea lion, we can definitively identify the correct name for it – bonus! 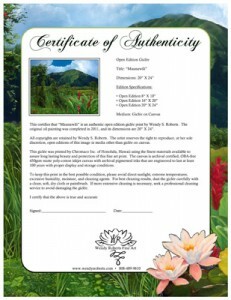 All giclees are sold with a Certificate of Authenticity. I designed them so that the certificates match their respective paintings (just for fun). It turns out this also makes it really easy to find the right certificate at a glance. Handy! Maunawili is an open edition of three sizes: 8″ X 10″, 16″ X 20″, and 20″ X 24″. 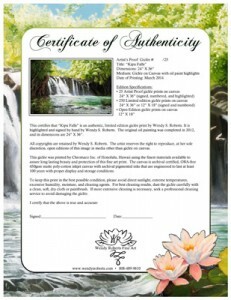 Kipu Falls has 25 Artist’s Proof giclees (24″ X 36″), 250 limited edition hand signed giclees (12″ X 18″ or 24″ X 36″). Matted Prints for these and my other images are in the works. They will be 11″ X 14″. On Facebook, I ran a contest entitled “My Favorite Place”. I invited all of the Facebook participants to submit a photo of their favorite place. Once the deadline passed, I chose the photo that most inspired me: a fantastic photo of La Jolla, California by Marjolijn Bekken. I am looking very forward to painting all the wonderful seals! When I am done, she will receive a free full size giclee. I anticipate holding many more collaborative events, not only contests, but hopefully also some group brainstorming collaborations on my Facebook Page. Feel free to like my page on Facebook if you want to join us for the next one!